Our wonderful little world of voiceover is growing. People around the world are starting to take notice of our brilliant rates of pay, our great working hours and the fact that we are our own bosses. It was inevitable then that the marketers and the scammers would start to notice us as well. 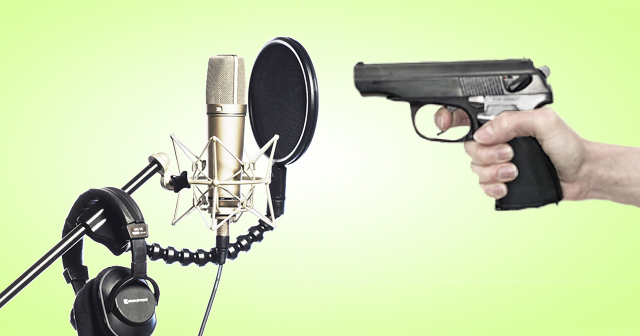 Voiceover scams are here – some are intentional, some are not…but they are here, and voiceover artists are losing income because of them. This blog is based on a webinar I ran, and in fact is available to watch in full as a replay at the end of this article – the webinar has much more information and gives you the complete rundown and detail of each. Watch our webinar on the subject and protect yourself! These are targeted voiceover scams but actually are just replications of other different types of scams that exist all over the world. They most common of these are the ‘overpayment scams’ and these are discussed in the webinar replay at the end of this article. In fact these scams are not ‘true’ or proper voiceover scams in that they are not targeting people to actually send money. These scams are much more common and are actually worse because they happen all the time in our industry and are easily missed. They aren’t asking you to send them money, but they are conning you into not receiving the right amount of remuneration in the first place. This is exceptionally true for beginners and those who have newly entered the industry because…..they are much easier to target and don’t have the experience to know any better. Or even worse, are exploited in order to get their foot on the first rung of the ladder. Again, I go into these in depth on the webinar replay below, and how you can avoid them. Being fair to the hirers, the accidental voiceover scams are rarely done on purpose, it’s usually eagerness in the recording situation, or naivety on the clients behalf. But, these scams do still result in the voiceover artist getting less income than they are entitled to, and so attention must be paid to them. The webinar reply below gives you a full insight into these scams. If you’re tired of reading this line – watch the webinar – I should point out why I’m putting the webinar up; the webinar replay video is an hour and a quarter long and with the best will in the world, you will never want to read a blog that is 25,000 words long! It shouldn’t be underestimated how important your voiceover contracts are. Not only do they protect you and your voiceover performances, they define how, when and where your recordings can be used. Sign a bad contract at your peril as you will end up losing all rights, all royalties and could very well hear your voice on a global spanning product or production that hasn’t even been invented yet! If you are happy to sign a contract which signs away your rights indefinitely, in perpetuity and across all media, then you must make sure that you are adequately compensated for such an eventuality. The webinar replay below gives you all the……ok you get the picture! Although it may sound obvious that you should be wary of working with dodgy clients, the question then arises, how do you spot a dodgy client when you are taking on new clients? You don’t want a voiceover scam on your hands, but at the same time you want to be friendly, professional and bend over backwards to please them so they hire you again and love your performances. There are lots of things you can do to protect yourself in the early stages of taking on new clients, from getting your contracts right, to setting up electronically signed quotations with embedded terms and conditions (so that you can factor your debt should they not pay), to doing due diligence and so on. I’ll show you lots of tips and tricks in this section of the webinar replay. You can put these into practice once, and forever reap the benefits with all your new clients – safe in the knowledge that you are protected with all of them. This isn’t 100% a voiceover scam, but it is a huge factor in making sure that you are not taken for a chump, made to work twice as hard with everyone else, and also ensure that you are properly adjusted for your experience and abilities. No one in their right mind wants to work for $5 a job (it’s below minimum wage anyway – how has no one pulled Fiverr up on this?) and the “race to the bottom” is making the industry difficult for everyone else in it. In this section of the webinar I show you how to set your rates, how they can be applied to you and your experience, and also respect the other (possibly more experienced) voice artists that you are working alongside. Not all scams are financially based. Some voiceover scams are stealing your time from you. One common flaw with the sheer amount of jobs on the subscription voice sites like voices.com, voice123.com, bodalgo.com and so on (for a full list, check out this article on P2P sites, and also this article on how to use P2P sites) is that the jobs posted are rarely monitored. 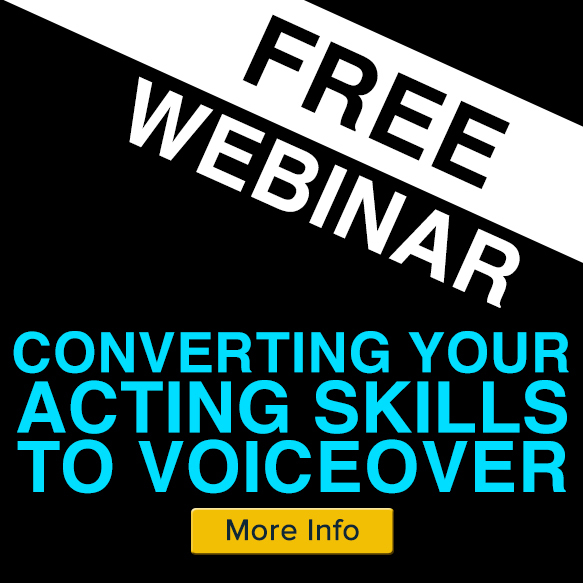 One common voiceover scam is where a hirer will ask you to record a whole script under the guise of wanting to hear how you perform. This benefits them hugely as they can just pay the person who did it all the best – but it wastes the time of everyone else who didn’t get the gig. These jobs should be avoided. What on earth!!?? How is your voice agent a scammer, I hear you cry. Well, again, this isn’t really a scam per-se, but you do need to make sure that you are getting what you need/should from your agent. It’s a common misconception that you work for the Voice Agent, when in fact, they work for you – your voice is the commodity they are selling, on your behalf, and taking a percentage for doing so. The truth is that the relationship between you and your agent is a symbiotic relationship and if that symbiosis isn’t working there is trouble abound…. Here though, comes the word of warning. Although the vast majority of voice agents (especially the top ones) are on the level, there are a few unscrupulous ones, and here you have to check your contract. Mr Unscrupulous Agent will work a buy-and-sell system of trading. The simple way of looking at this is with an example. Let’s say our voice agent is approached by MajorGas (my fictitious oil company) who want to have a series of internal training videos shot. Unscrupulous Agent sends a quote back to MajorGas for $20,000, which is accepted. Unscrupulous Agent then arranges the work with you and pays you your BSF of $200ph, for 50 hours work. You are very happy as you’ve just earned $10,000. Unscrupulous Agent is doubly happy as he’s just also walked away with $10,000, rather than the 15% commission he should have taken. Buy-and-sell trading is not illegal, it’s a contractual issue and you must check your contract to make sure that you are covered. If your contract says that you will only work with the voice agent taking a standard agreed percentage, you’re covered. If it doesn’t mention it, or you don’t have a contract with your voice agent, you’re probably not. 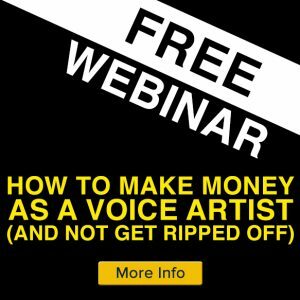 Although not one of the true voiceover scams, you can still waste a lot of ca$h here. The world is full of companies who want to take your money, and one of the most popular ways of doing this is in demo reel creation. Again, we look at this in depth in the webinar below. Anyone who is in the know about the voiceover world knows the simple facts are this: Any old studio in the world can record you a demo reel, and probably mix and master it perfectly….but this doesn’t make a good demo reel. We recommend you going to a professional voiceover demo reel director as they know what a voice reel is supposed to contain. Just beware of some of the pricing structures as some are unnecessarily high. When we ran this webinar we asked all the attendees (around 2,200 VO’s over the 6 times we ran it) to take a survey for us which asked them lots of interesting questions. 68% of attendees said that they felt that they had either been ripped off, or not gotten their money’s worth from training companies, individual coaches and trainers. 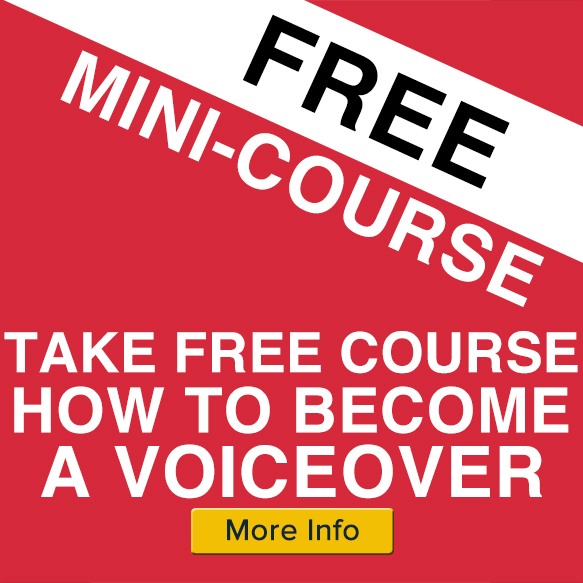 c) the growing model of voiceover artists learning their trade and then instantly becoming a trainer without having built up the required years of experience needed. Finally, we address this subject in the webinar as well. 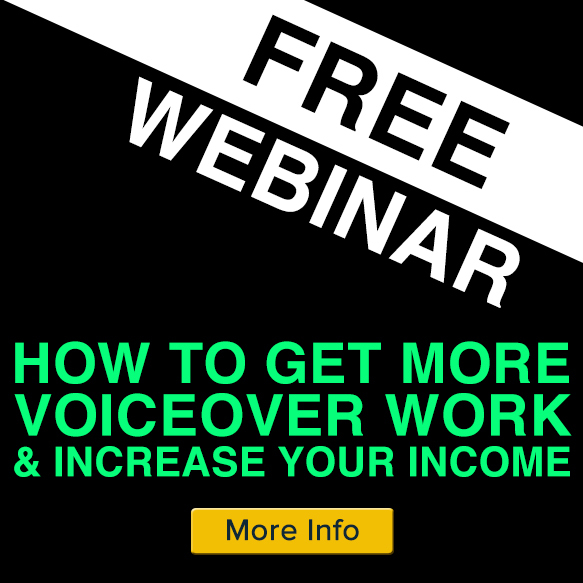 The Voiceover Scams Webinar – It’s Here! Here then, follows the complete recorded replay of the voiceover scams webinar. We have released it here publicly in an attempt to help stop the scammers and the immoral taking advantage of those in our lovely little world. The scams aren’t always obvious and you can’t see all the cons coming – but they are there. I don’t normally ask this of my readers, as we’re trying to propagate this message and words of wisdom and warning to the entire voiceover community – I’d very much appreciate it if you could share, share and re-share this blog so that it reaches as many VOs as possible. Hopefully then, we can stop VOs being taken advantage of as much as they currently are. How long, in general, or how many gigs should someone have under their belt before they consider becoming a trainer? Let’s put it this way, our trainer Brigid Reale is coming on board this month to do her first mentoring session, teaching complete beginners her experiences of the first beby steps…and she’s in her 5th year of professional voicing. I’d say that’s about right. oh dear. The webinar re scams has been taken down?? Stay informed and get all the voiceover news, scoops and info that our mailing list provides!